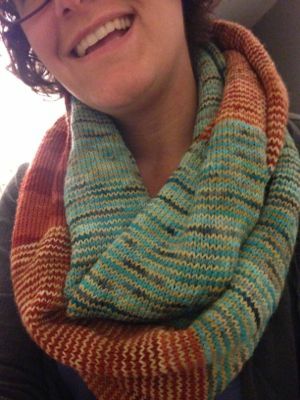 This entry was posted in knitting, out of doors and tagged boh, FO, french press, knitting, porch, scarf, turnstile, walk by barefootrooster. Bookmark the permalink. Oh and before I forget? That D is a keeper. What a nice guy! The Turnstile is great! Love the color combo! What a fantastic French press. I’ve never seen one like it. 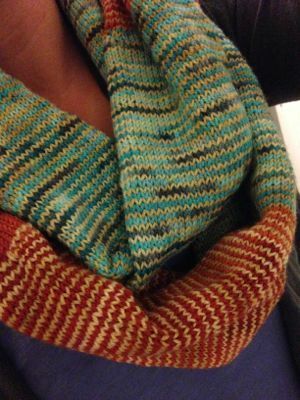 Awesome Turnstile – and wow – what a great way to combine sock yarn into a practical but gorgeous cowl -thingy. Great job! 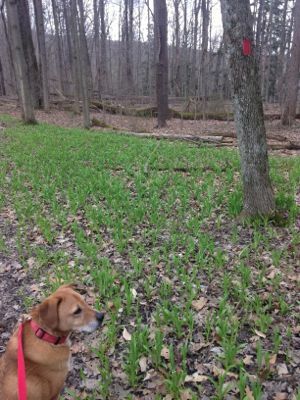 As always – love the Boh business – and what dog doesn’t really appreciate slightly muddy toes if it means time well-spent outside, in the Spring, sniffing away to heart’s content? 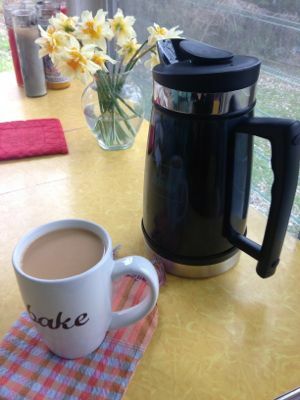 Lovely new coffee press – and since the weather is better – what better way than to snuggle with a Turnstile and head to the porch – coffee in hand?! Your Turnstile is awesome! 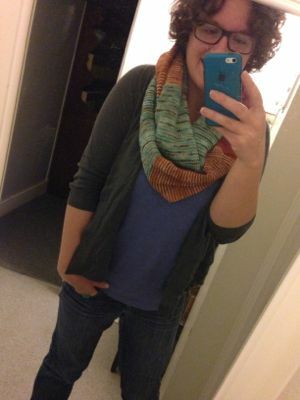 I am kind of in love with the colors you chose — they work perfectly! 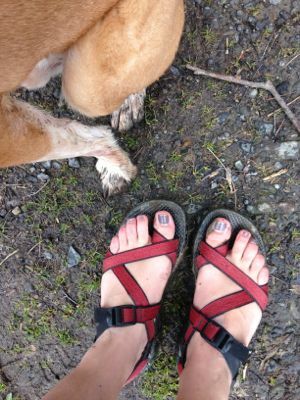 And hooray for spring! So cozy! 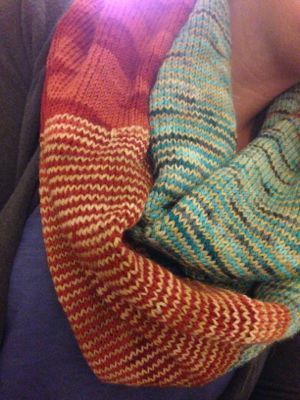 I love infinity scarves. 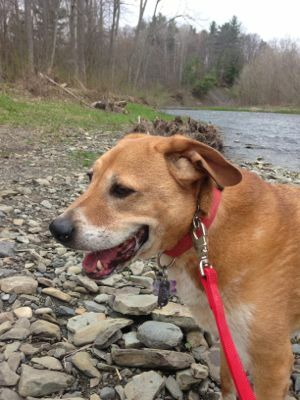 Trekking outdoors with Boh seems like the perfect spring activity. I’m jealous of your screen porch. I’m actually thinking about moving my computer desk to our back sun porch for the summer — the natural light and the fresh air from all the windows hold great appeal. The French press sounds awesome, too — mine is subpar and the coffee is always gritty. Beautiful! I love your Turnstile … in fact, I am now contemplating a shameless copy-cat action. 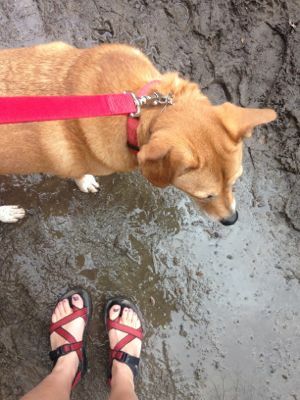 And yay for springtime and muddy puppies and coffee! !